Gabriele Trovato is an Italian human-computer interaction researcher at Tokyo's Waseda University; along with colleagues from Peru's Pontificia Universidad Católica, he presented Design Strategies for Representing the Divine in Robots (Sci-Hub mirror) at March's ACM/IEEE International Conference on Human Robot Interaction. 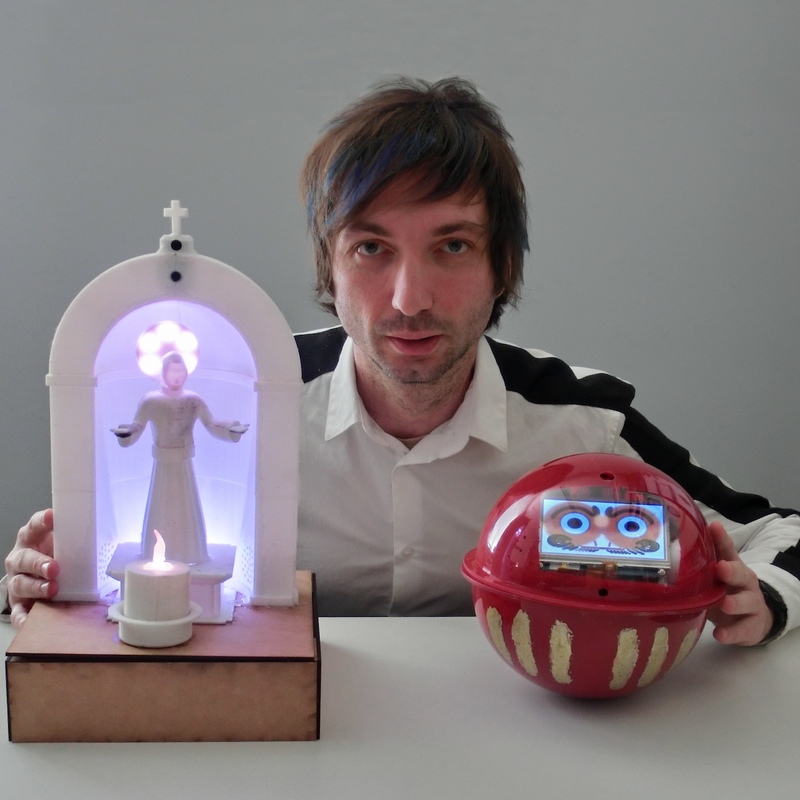 Trovato's paper presents a theoretical framework for designing "theomorphic" robots which "carries the shape and the identity of a supernatural creature or object within a religion" -- robots that imply "a connection with a deity, be[ing] a messenger of the deity, or be[ing] possessed by it, or carry[ing] a divine essence." Trovato presents some guidelines for these, including not making them move too much (robot movement isn't very divine, and also religious icons tend to be immobile), don't design them to respond to user input (more godlike, less furbish), and make them glow. What are some advantages of theomorphic robots? What purpose would a theomorphic robot serve? The biggest advantage is that believers can feel at ease with, and even hold in high regard, a robot that has the appearance and identity of a familiar religious entity or an icon, while typically the approach towards robots is characterized by some discomfort. The sacred appearance can be seen as a mask, which covers the robotic component, for a device that will perform some service that can range from keeping company during prayer, to comfort and monitor people’s health, or to even perform catechesis, teaching positive values of a certain religion. If you run most paint-spatters through OCR software, it will generate valid perl programs.